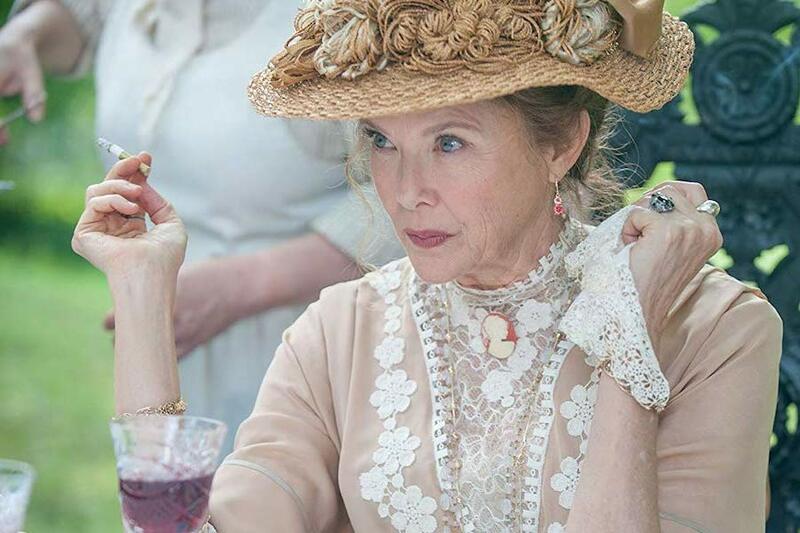 Annette Bening, Saoirse Ronan, Elisabeth Moss and Brian Dennehy are a just a few of the top actors that Tony Award-winning director Michael Mayer was able to assemble for the latest film adaptation of the Anton Chekhov Russian classic The Seagull. 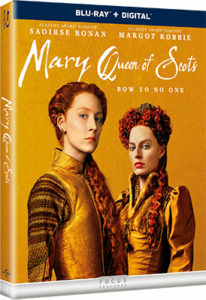 The film is available on DVD and digital from Sony Pictures Home Entertainment. Tony-winning playwright Karam adapted the film from Chekhov’s play about the obsessive nature of love, the tangled relationships between parents and children, and the toll of making art. 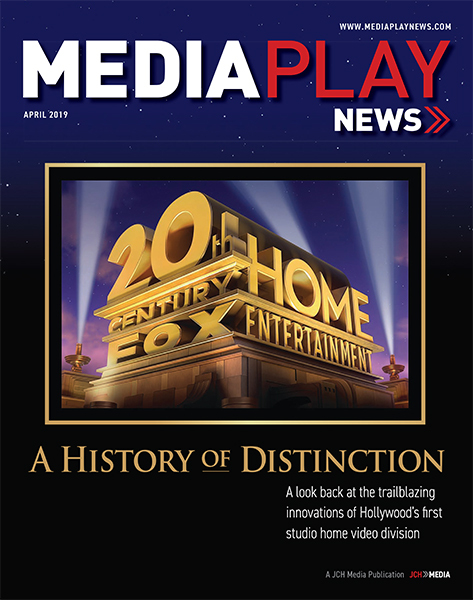 “We had an idea to do a contemporary feeling film,” Mayer said. It was a hectic shooting schedule of just 21 days, so “it was helpful to have so many theater actors in these roles,” he said. Ronan, recently nominated for an Oscar for her lead performance in Lady Bird, also signed on. Corey Stoll, Mare Winningham, Jon Tenney, Glenn Fleshler, Michael Zegen and Billy Howle also star. Another character in the film was the setting, a house on a lake that reflected the play’s Russian roots. Bonus features include the Tribeca Film Festival cast and crew red carpet and a Q&A with Mayer and Bening. 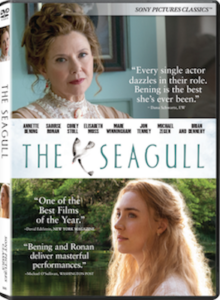 The Seagull, starring Annette Bening and Saoirse Ronan, will come out on DVD and digital Sept. 25 from Sony Pictures Home Entertainment. 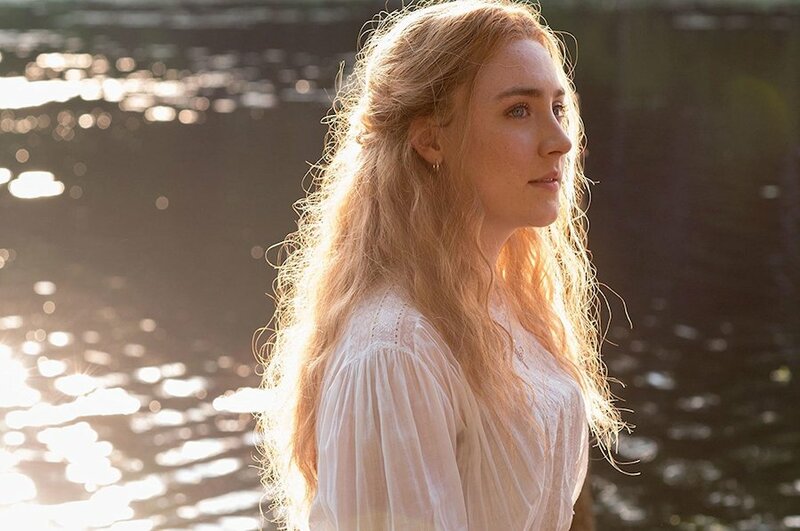 Based on the play by Russian author Anton Chekhov, The Seagull is brought to the screen by Tony Award-winning director Michael Mayer and Tony Award-winning screenwriter Stephen Karam. 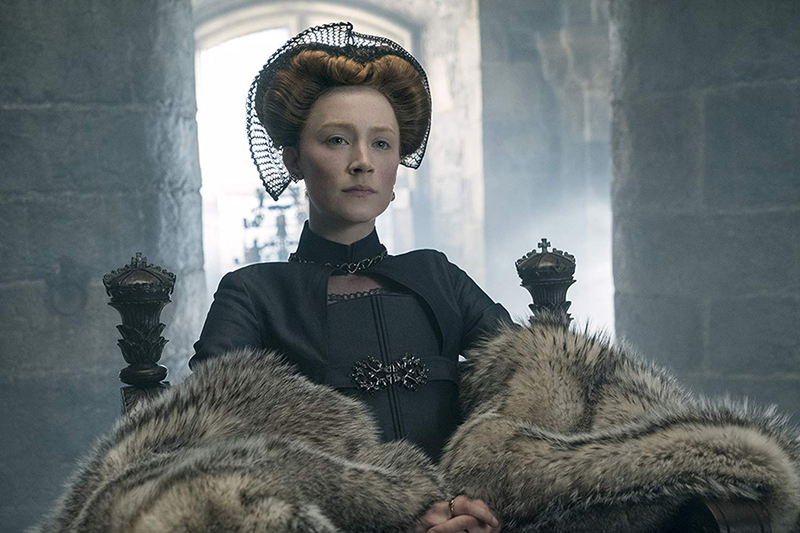 In addition to Bening and Ronan, the film stars Corey Stoll (“House of Cards”), Elisabeth Moss (“The Handmaid’s Tale”), Mare Winningham (Georgia), Jon Tenney (“Scandal”), Glenn Fleshler (“Barry”), Michael Zegen (“The Marvelous Mrs. Maisel”), Billy Howle (Dunkirk) and Brian Dennehy (“Death of a Salesman”). Special features include cast and crew red carpet interviews and a post-screening Q&A from the Tribeca Film Festival with director Michael Mayer, Bening, Ronan, Stoll, Winningham, Tenney, Fleshler, Zegen, Howle, Dennehy and Karam as well as a City Cinemas Q&A with Mayer and Bening. Lionsgate will release the Oscar-nominated coming-of-age comedy Lady Bird on Blu-ray and DVD March 6, two days following the Oscar ceremony. The film is available now through digital retailers. 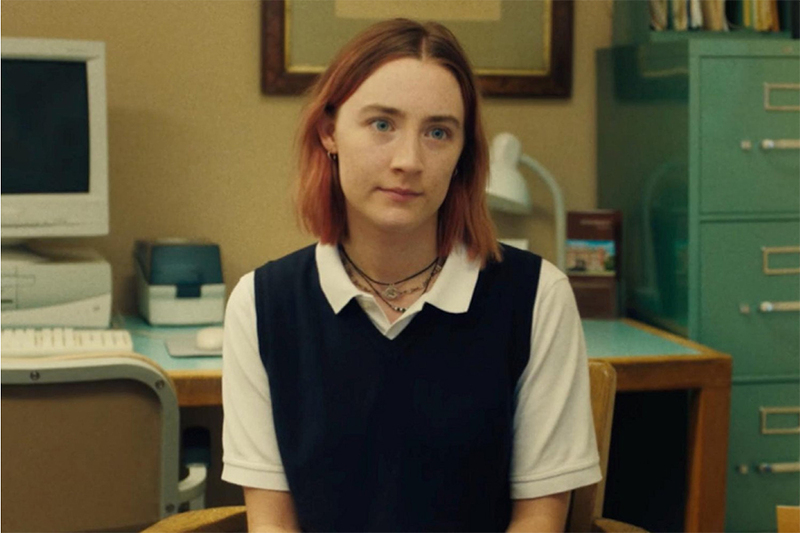 Lady Bird stars Saoirse Ronan as a wildly opinionated and adventurous young woman searching for her true identity as she navigates through adulthood. The film also stars Laurie Metcalf, Lucas Hedges, Timothée Chalamet, Odeya Rush, Beanie Feldstein and Tracy Letts. Greta Gerwig makes her directorial debut and also wrote the screenplay, which is semi-autobiographical. The film was nominated for five Academy Awards, including Best Picture, Best Director, Best Actress for Ronan, Best Supporting Actress for Metcalf, and Best Original Screenplay. 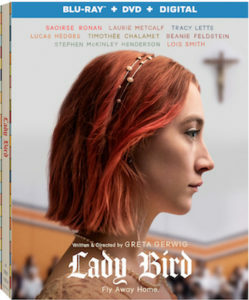 Extras on the Blu-ray and DVD include commentary by Gerwig and cinematographer Sam Levy, and a “Realizing Lady Bird” featurette.